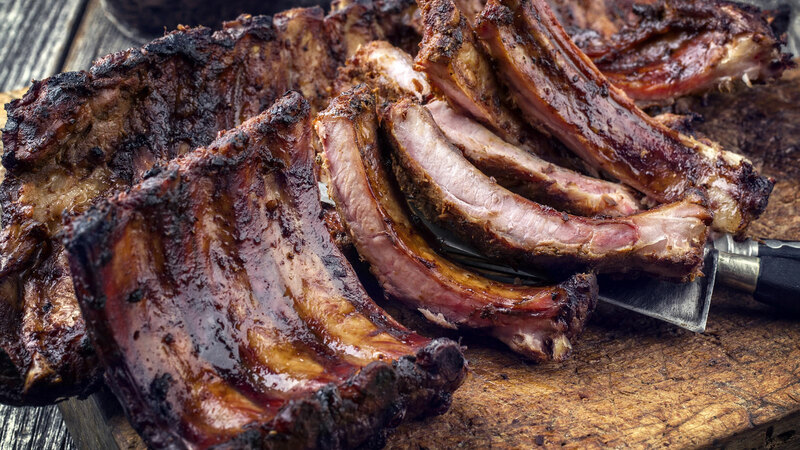 Preheat oven to 200° F. Rub the ribs thoroughly with the BBQ rub and place on foil covered baking sheets. Place in the oven for three hours to cook slowly. Remove from the oven and baste with BBQ sauce. Grill on a low temperature charcoal fire for about five minutes per side until warmed through. Remove from the grill and cut between the bones. Serve with extra sauce. This Frenchie Red Wine boasts inviting red fruit aromas, supple dark fruit flavors and along, smooth finish that will leave our tail wagging.